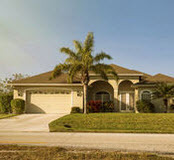 Although most people do not associate homeownership with tax breaks, the reality is that many Florida homeowners have access to tax deductions that are not available to others. To learn more about possible deductions, please contact an experienced tax attorney who can walk you through your options. Mortgage interest deductions allow homeowners to deduct what they spent on their mortgage’s interest from their taxable income as long as their mortgage was for no more than $1 million. However, there are some exceptions to this rule. For instance, homeowners can only deduct interest on a mortgage of $1 million if they are married and filing jointly. Homeowners who are married, on the other hand, but are filing separately can only claim interest on mortgages of up to $500,000. Furthermore, interest payments can only be deducted on mortgages secured by a first or second home. Property taxes paid by a homeowner can also be deducted from income taxes. However, if a homeowner’s money is being held in an escrow account, they cannot claim the deduction until the funds have actually been paid. Furthermore, those who receive a partial refund of their property taxes will have to claim a reduced amount. Florida homeowners can also claim a $50,000 homestead exemption on their primary residence. While the first $25,000 of the exemption applies to all taxing authorities, the second $25,000 applies only to the assessed value between $50,000 and $75,000 and only to taxes that are non school-related. For example, if the assessed value of a home was $65,000, the first $25,000 of value would be exempt from property tax. The next $25,000, however, would be taxable, and the remaining $15,000 would be exempt, but only from non-school taxes. When signing a mortgage, lenders assess a number of fees, some of which are referred to as “points.” Basically, one point is equal to one percent of a loan’s principal. Fortunately, for homeowners, these points can be claimed as an income tax deduction. Homeowners who are refinancing a mortgage can also deduct their points, but can only do so over the life of the loan and not all at once. Homeowners who take out a loan to make substantial home improvements may be eligible to deduct the interest accrued on that loan. However, in order to make these deductions, the renovations must qualify as a capital improvement and not just standard repairs. To qualify as a capital improvement, the work must increase the home’s value, prolong its life, or allow it to be adapted to new uses. Installing a new roof, adding a garage, and digging a swimming pool are usually all considered capital improvements, as is installing built-in appliances or a new heating/cooling system. On the other hand, fixing minor leaks, repainting, patching a roof, or repairing broken windows do not usually qualify as deductible expenses. If you own a home near Miami, Orlando, Daytona Beach, or Jacksonville and want to discuss your tax deduction options with an experienced tax attorney, please call Ronald Cutler, P.A. by calling 386-490-9949 or by initiating a live chat with a dedicated member of our legal team.